You’ll have more options of Martian colonizing starting Monday, with the Curiosity update for Surviving Mars rolling out, if all goes according to developer Haemimont’s plans. 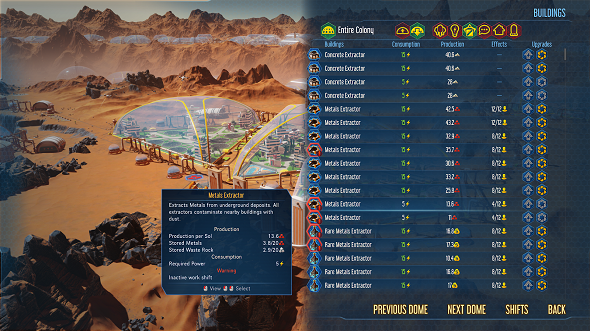 The substantial update includes a series of new dome types and several community-requested features like an info bar and tutorial. The new domes are the highlights of the update. These are all-new assets and each has its own new functionality and price. There’s now a Micro Dome, which can’t hold a Spire but can be useful early on, or as an extension to an existing dome. The Barrel Dome also can’t hold a Spire, but has more usable space than the game’s existing Small Dome. Get ready, Commander: Here are the best strategy games on PC. The Trigon Dome complements the existing Medium Dome, but is cheaper to build and has a bit less space. There’s also a Mega Trigon Dome, which is a cheaper alternative to the Large Dome, also with less space to use. Finally, there’s the rhombus-shaped Diamond Dome, which is the only new dome that will require a breakthrough to unlock. You can make breakthroughs by studying anomalies found across the Martian surface. The developer also added some helpful management tools, like the Info Bar, which is based on a mod created by community member Waywocket. The dev liked Waywocket’s design so much that it made a similar, official bar and put Waywocket in the credits. There’s also a new Command Center window, which you’ll be able to pull up and use to manage all your domes while seeing useful historical data on your colony. 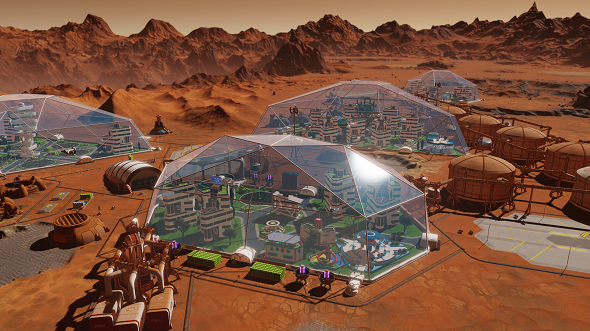 Finally, Surviving Mars is getting a tutorial, which will make it a lot easier to come to grips with what the complex colony management game expects from you. It’s reportedly pretty extensive and split over five parts. The Paradox forums have more information on the Curiosity Update, if you’re interested. The full patch notes will be posted there Monday morning when the patch goes live.